A prize-winning painting by ACS member Anthony Amies has been re-displayed in the Royal Free Hospital after mysteriously disappearing. In 1973 Amies submitted a painting to the Camden Council’s Life in Camden competition which later received first prize. 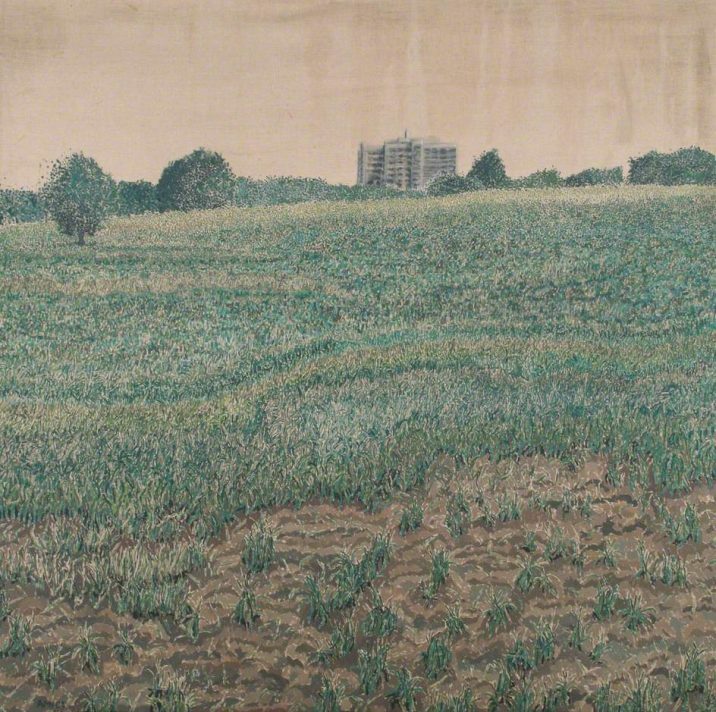 Depicting a view of the Royal Free Hospital from Hampstead Heath, the oil painting was later donated to the Hospital itself where it was installed in the ground floor foyer. Years later, following a redesign of the Hospital, the much-loved painting disappeared from view. We are happy to announce that it has been re-installed in the main corridor of the Hospital, having been cleaned and re-framed.